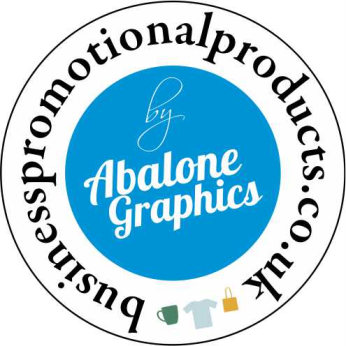 1.1 “The Seller” shall mean Abalone Graphics Limited and its associated trading divisions. 1.2 “The Buyer” shall mean the person, firm or body corporate or unincorporate contracting with the Seller whether as agent or not and if contracting as agent then the agent shall be deemed to include the principal of such agent. 1.3 “The Goods” shall mean all items sold by the Seller pursuant to the contract with the Buyer. 1.4 “The Contract” means the contract for the purchase and sale of the Goods (including any forward contract for an agreed quantity at an agreed price). 2.1The Seller shall sell and the Buyer shall purchase the Goods in accordance with any written quotation of the Seller, which is accepted by the Buyer subject to these conditions, which shall govern the Contract to the exclusion of any other terms, and conditions subject to which any such quotation is accepted or purported to be accepted. 3.1 The price of the Goods shall be the quoted price or where no price is quoted (or a quoted price is no longer valid) the price stated in the Seller’s current price list at the time of acceptance of the order unless expressly otherwise agreed in writing by the Seller. 3.2 All orders are subject to carriage charges at the seller’s current rate unless agreed in writing to the contrary. 3.3 The Seller reserves the right to alter its current price list at any time without prior notice. 3.4 All prices (including the cost of carriage) are subject to value added tax at the rate in force at the time of invoicing subject to the provisions of clause 10.2 below. 3.5 All prices quoted are valid for 30 days only or until earlier acceptance by the Buyer, after which time they may be altered by the Seller without giving notice to the Buyer. 3.6 The Seller reserves the right to charge for all preliminary work undertaken including artworks, proofs, samples, print and embroidery patterns produced at the Buyer’s request. Where no charge has been agreed then these will be at the value of work done and materials supplied. 4.1 Payment is required in advance of processing orders. For credit accounts, invoices shall become due for payment 30 days from the date of invoice unless otherwise agreed in writing by the Seller. 4.2 The Seller reserves the right to charge interest on any balances overdue at a rate of 5% above the base rate from time to time of Barclays Bank plc from the stated payment date until payment has been received in full. 5.1 All goods supplied by the Seller to the Buyer whether direct or to a third party shall be subject to carriage charges unless otherwise agreed in writing by the Seller. 5.2 All Products to be supplied by the Seller shall be sold DAP to the Delivery Point in accordance with Incoterms 2010, and accordingly the Distributor shall in addition to the price, be liable for arranging and paying all costs of transportation, other formalities and charges from the time the Products are made available at the named place of destination. 6.2.5 the Seller may at any time revoke the authority given to the Buyer under 6.2.3 above to sell the Goods, and the Buyer shall thereupon permit the Seller to enter upon the premises where the Goods are located and remove the same. 6.3.4 the Seller shall be legally and beneficially entitled to the proceeds of sale and the Buyer shall pay such proceeds into a separate account or otherwise shall ensure that all such proceeds are kept by or on behalf of the Buyer in a separate and identifiable form. In particular but without prejudice to the generality of the foregoing the Buyer shall not pay the proceeds into any bank account, which is overdrawn. 7.1.4 the Seller reasonably believes that any of the events mentioned above is about to occur in relation to the Buyer and notifies the Buyer accordingly. 7.2 If this clause applies then, without prejudice to any other right or remedy available to the Seller, the Seller shall be entitled to cancel the Contract or suspend any further deliveries under the Contract without any liability to the Buyer, and if the Goods have been delivered but not paid for the price shall become immediately due and payable notwithstanding any previous agreement or arrangement to the contrary and in addition the Seller may immediately enter upon the premises where the Goods are located and remove the same. 8.1 Claims in respect of short delivery or damage must be presented in writing to the Seller within seven days of receiving the Goods. 8.2 Claims in respect of non-delivery must be presented in writing to the Seller within one calendar month of the despatch of the Goods. 8.3 All other claims must be presented within seven days of receipt of the Goods. 8.4 All orders accepted for application of the sellers products to the buyers own goods will be accepted on the premis that there be no liability whatsoever by the sellers for either damage to the buyers goods while on the sellers premises or in transit to or from the sellers premises and therefore orders of this nature are accepted at the buyers own risk. 8.5 The Seller undertakes to take good care of any items sent by the Buyer for illustration, colour and image matching etc, but accepts no liability for their damage or loss either on the Seller’s premises or in transit. 9.1 The Seller cannot accept any goods for return if they have in any way been decorated with embroidery, printing or other method or have been further processed or altered by or at the instigation of the Buyer. 9.2.1 Proof of purchase including invoice or delivery note number. 9.2.2 The request is made in writing within 28 days of the invoice date. 9.2.3 No items that are deemed to be non-stock items will be accepted. 9.2.4 A re-stocking charge of either £15.00 or 15% of the list price of the returned items shall be charged and invoiced using the original order number. 10.1 The production of samples prior to an order being placed does not constitute a sale by sample. Whilst every effort will be made by the Seller to produce compliance with the sample, the Seller will not be responsible for any differences between the sample and the Goods supplied due to circumstances beyond its reasonable control. 10.2 Whilst every effort will be made to give accurate estimates the Seller retains the right to amend initial estimates and quotations for embroidery on finalisation of production – ready embroidery patterns. 10.3 Where the Buyer supplies items onto which the Seller attaches goods sold pursuant to this contract the Buyer warrants that the items provided by it are suitable in all respects to accept the Seller’s goods on to them and that they are suitable for the fixing methods adopted by the Seller and the Seller accepts no liability for any loss or damage suffered by the Buyer as a result of the unsuitability of the items provided by the Buyer. 11.1 Except in respect of death or personal injury caused by the Seller’s negligence, the Seller shall not be liable to the Buyer by reason of any representation (unless fraudulent) or any implied warranty, condition or other item, or any duty at common law, or under the express terms of the Contract, for any direct, special or consequential loss or damage (whether for loss of profit or otherwise), costs, expenses or other claims for compensation whatsoever (and whether caused by the negligence of the Seller, its employees or agents or otherwise) which arise out of or in connection with the supply of the Goods or their use or resale by the Buyer, and the entire liability of the Seller under or in connection with the Contract shall not exceed the price of the Goods, except as expressly provided in these Conditions. 11.2.7 power failure or breakdown of machinery. 11.3 Warning: Badges with magnetic fittings should not be worn by anyone with a heart pacemaker. It is also recommended that the magnet is kept at least 20cm from payment/credit cards and sensitive electronic/magnetic equipment and storage devices. 11.4 Modern garments are coated and finished in many different ways. We therefore recommend testing the best combination of heatseal parameters and method before applying the decoration. The Seller accepts no liability for incorrectly applied decoration. 11.5 The Buyer accepts that there will be minor variations in colour, particularly with digitally printed goods, between the original supplied image and that produced by the Seller. 12.1 Information regarding the Seller’s goods as contained in catalogues, brochures and any other media provided by the Seller to the Buyer is given in good faith but is intended as being approximate and it shall be the duty of the Buyer to rely on its own judgement as to the nature quality and suitability for its purpose of the Seller’s goods. 12.2 The Seller reserves the right to alter or amend specifications without prior notice. The Contract shall be governed by the laws of England and be subject to the exclusive jurisdiction of the English Courts. It is an express condition of all contracts for the supply of designs, artworks, embroidery patterns, emblems, prints and embroideries that the Buyer possesses the full authority and permission of the Copyright Holder or Trade Mark owner to reproduce the design, motif or logo in question. The Seller supplies such designs, artworks, embroidery patterns, emblems, prints and embroideries in good faith and for lawful purposes only. Such supply does NOT constitute a warranty by the Seller that the design, logo or motif may be reproduced and the Seller accepts no responsibility for any unauthorised reproduction thereof and the Buyer agrees to indemnify the Seller in respect of any claim action or demand made against the Seller in respect of any such breach. The Seller reserves the right to decline an order if it is believed copyright is being breached or the image is deemed offensive or obscene. The Buyer’s placement of an order signifies full acceptance of these Terms and Conditions and of the clauses herein.